Christmas is one week from today. The excitement of children grows and the scurrying of adults increases. Imagine this date in 1941, however. Christmas is still one week from today, but Pearl Harbor occurred only 11 days before. The twinkling had gone out of the holiday lights. It would be five more days before three sailors trapped below decks of the severely damaged U.S.S. West Virginia would run out of air and perish, their days marked on a calendar in the storeroom where they were found months later. Christmas was observed, but not celebrated and traditions were performed, not for their usual joy, but in an attempt to restore a sense of normalcy. 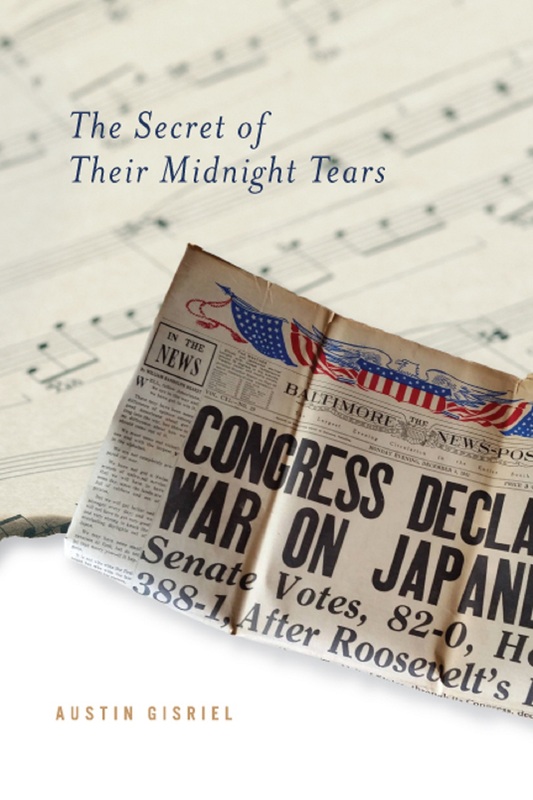 The chapters in The Secret of Their Midnight Tears are various days in the lives of the characters in the little town of Marsh Point, who on this day, like everyone else in towns and cities and farms and villages across America are still in a collective shock. The following scene from the novel occurs when Marsh Point High School’s principal, Gerald Bittner has just arrived home. The school’s Christmas pageant will go on as planned, but even this will be altered by the news from Hawaii. Bill, his daughter’s boyfriend and aspiring songwriter, is caught up in the furor. It was dark by the time Gerald arrived home that night. The string of lights around their Christmas tree which stood in the corner of the parlor were lit, but this year, they did not twinkle. “Is that you, Gerald?” called Margaret from the kitchen. Affirming that it was, Gerald went out to his wife. Margaret had been baking all afternoon. The kitchen was toasty and smelled of ginger snaps. Wisps of brushed flour streaked down her red blouse. Gerald hugged her and kissed her on the nose. “No, she’s still at school. Mrs. Wightman wanted to run through the Christmas Pageant one more time. Ought to be along soon though.” . . . The sound of footsteps and conversation drifted into the kitchen from the back porch. Margaret looked out just in time to see Bill kiss Elizabeth good-bye before he hurried away, and her daughter hurried into the warmth of the house. She smiled to herself as one of the old days drifted to mind. “What’s this one about?” Margaret asked. “What Eddie Cantor song?” asked Gerald. “Well, I’ll be glad to get back to the days when we can sing songs about rivers or apple blossoms or something pleasant,” said Margaret who leaned against the white kitchen cupboard and surveyed the vast array of cooling cookies. She looked at Elizabeth and she looked at Gerald. “Christmas is one week from today, but it sure doesn’t feel like Christmas,” she said as the tears rolled silently down her cheeks. Available in soft cover and ebook form. Please click the “Fiction” tab in the ribbon above. This entry was posted in World War II, Writing and tagged Pearl Harbor, The Secret of Their Midnight Tears, WW II. Bookmark the permalink.